A sibling to Salsa, Mambo can be danced to the same music and has similar step patterns. 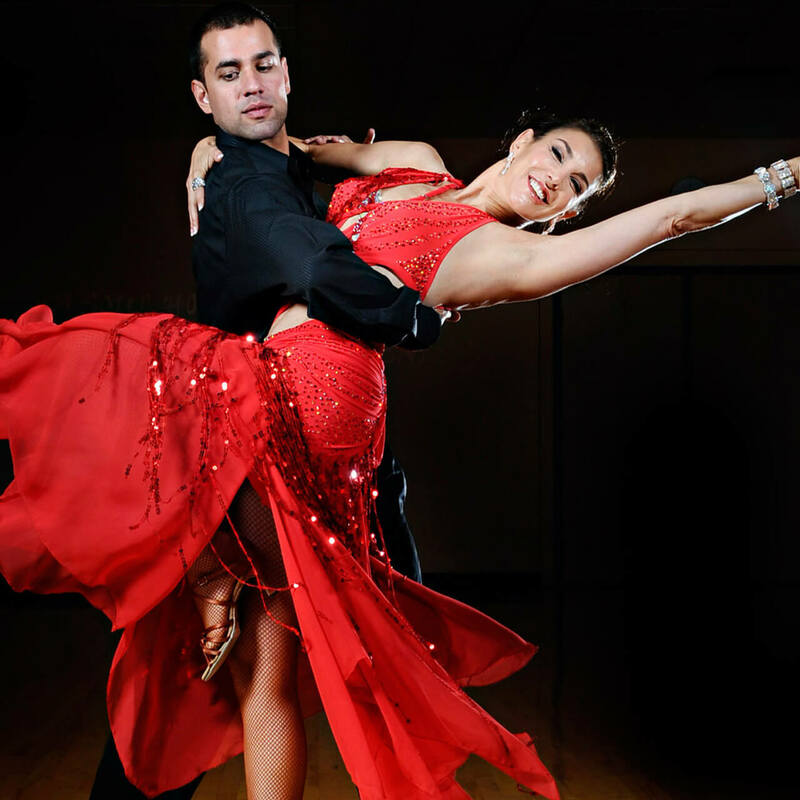 Traditional Mambo was popular in the 1940’s and 50’s and remains popular today as part of Ballroom dance syllabus worldwide. It’s main difference from Salsa is that the break step begins on the 2nd beat of the phrase and there is no weight change on the first and fifth beat of the phrase. A newer style of Mambo, also called NY-Style Mambo, or Salsa on 2, also breaks on the 2nd beat of the phrase but patterns and weight changes happen on beats 1 and 5, where beats 4 and 8 do not have weight changes. This gives the newer style of mambo a more laid-back and deliberate look.